Due to the overwhelming support that Clare's campaign has had in its first days, we're setting a new stretch target. All donations and pledges for rewards will go towards making the Clare Thornton Memorial Residency an even better experience for the supported artist. Thanks to everyone who has been pledging & donating so far - this is an amazing show of support for Clare's idea. Please do continue to share with friends so that we can remember Clare in the way she wished we would. Before her death, the late artist and KARST studio member Clare Thornton set aside funds to establish a memorial residency opportunity in Plymouth for a mid career artist, such as herself, using her old studio space at KARST. The residency aims to provide the successful applicant with the time, space, funds and critical engagement to develop and resolve new artwork and culminate with an opportunity to show it publicly either at KARST or other public space and time befitting the work. Clare also wanted to offer a way for others to contribute to supporting this residency by matching and adding to her own donations through this crowdfunding campaign. To assist with this, she has left a range of specially selected artworks which we can offer as rewards to supporters. KARST Tote Bag - screen printed by Clare Thornton. You will receive one of 2 designs by Carl Slater (mint on charcoal grey, or charcoal grey on mint). Dandy & the Mute - limited edition acanthus wax casts in hand blended shades of pastel yellow, green, pink and aqua blue. 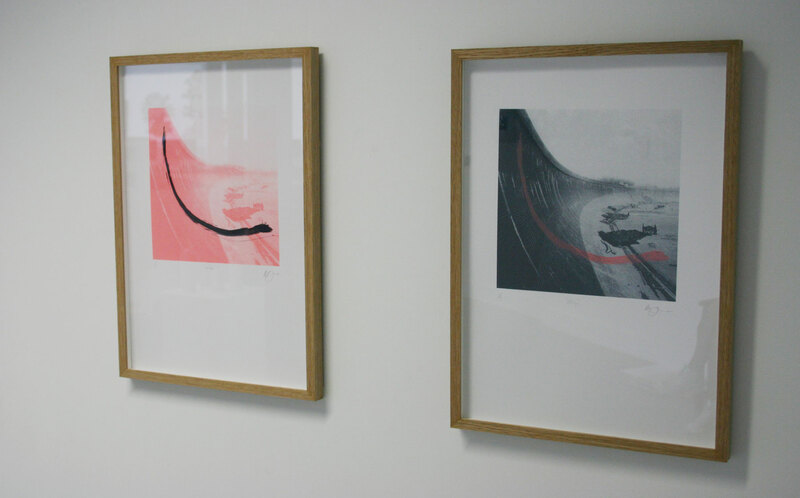 Show as part of exhibition install at Oriel Myrddin (image credit: Tom Heming). A budget for other expenses including materials, childcare, travel, accommodation etc. The possibility of a public sharing activity, immediately following the residency or at a later date, including the technical, administrative and marketing support to help make this happen. We hope that during their residency, the selected artist will also meet a range of people in Plymouth and the wider region - from other artists & arts professionals based in the city, to those in the wider community (depending on the artist’s own interests and project idea). This will be facilitated by specialist producers from Flock South West, who are managing & supporting the residency in partnership with KARST at Clare’s request. Who will be able to apply for the residency? The residency will be open to those artists who consider themselves to be ‘mid-career’ and applications will be welcome from individuals working in all areas of contemporary visual and live art practice. Applicants will need to be a professional artist who has been making work for a minimum of 7 years and may be based in the UK or internationally. The panel for selection will include Dane Watkins (artist & Clare's husband), Cheryl Jones (director of Grand Union), Carl Slater (artist and director of KARST) & Emily Speed (artist). 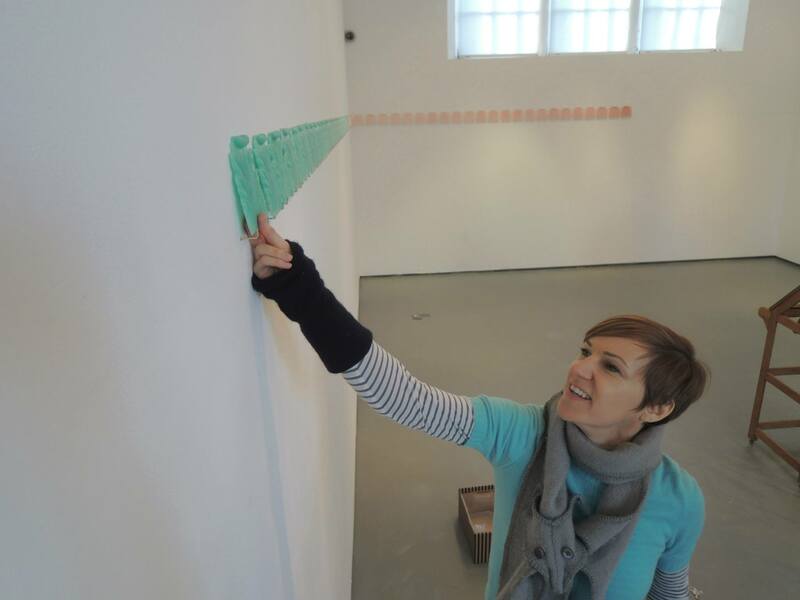 Clare Thornton is an interdisciplinary artist and educator working from her studio at KARST Projects, Plymouth,UK. Clare puts a variety of materials to work, testing their possibilities and limits to support and encourage her enquiries. Drawing on a training in dance, scenography and literature, she is excited by re-working and layering materials and ideas, and exploring this process with others. Her installations and events are often designed to bring audiences together for social and critical exchange. KARST Studios is a dedicated production space that houses nine studios for contemporary artists working in the city. From its humble DIY beginnings, KARST has established a studio culture that provides a professional, dynamic and critically engaged environment where resident and studio artists are proactively encouraged to respond to its exhibition programme, peer critique, collaborative projects and dialogue with visiting international artists/curators. KARST is the largest independent contemporary art venue in Plymouth and in addition to its studio complex delivers an ambitious public gallery programme. Founded in 2012 in the industrial Millbay area of the city, and now an Arts Council England National Portfolio Organisation, KARST aims to be a test-bed for experimentation: from conceptually complex group shows proposed by international curators to projects focusing on individual artists or artistic collaboration.  Flock South West CIC is a new community interest company specialising in the production & delivery of high quality art projects in Plymouth and the South West of England. Flock works with freelance producers & arts specialists to provide creative production support for arts, cultural & community organisations engaging in contemporary arts projects. 1 x copy of "Materials of Resistance" - limited edition of 400 // Includes UK p&p. Your name will also be listed on the memorial residency webpage. To thank you for supporting Clare’s project we will give you a shout-out on KARST’s social media & your name will be listed on the memorial residency webpage. 1 x copy of "Stairways, Corridors & Corners" - limited edition of 200 // Includes UK p&p. Your name will also be listed on the memorial residency webpage. 1 x tote bag, screen printed by Clare Thornton. You will receive one of 2 designs by Carl Slater // Includes UK p&p. Your name will also be listed on the memorial residency webpage. 1 x copy of "After After Richard Hughes, Love Seat" - A3 Risograph print - limited edition of 45, unframed // Includes UK p&p. Your name will also be listed on the memorial residency webpage. 1 x Dandy & the Mute - limited edition acanthus wax cast in hand blended shade of PASTEL YELLOW // Includes UK p&p. Your name will also be listed on the memorial residency webpage. 1 x Dandy & the Mute - limited edition acanthus wax cast in hand blended shade of GREEN // Includes UK p&p. Your name will also be listed on the memorial residency webpage. 1 x Dandy & the Mute - limited edition acanthus wax cast in hand blended shade of PINK // Includes UK p&p. Your name will also be listed on the memorial residency webpage. 1 x Dandy & the Mute - limited edition acanthus wax cast in hand blended shade of AQUA // Includes UK p&p. Your name will also be listed on the memorial residency webpage. 1 x Dandy & the Mute - limited edition acanthus wax cast in hand blended shades of pastel yellow, green, pink and aqua blue. Choose your colour preference. If you would like more than one wax cast, make another pledge on this reward level & choose the colour you would like // Includes UK p&p. Your name will also be listed on the memorial residency webpage. Materials of Resistance - limited edition 4 colour separation (CMYK) silk screen print, unframed // Includes UK p&p. Your name will also be listed on the memorial residency webpage. 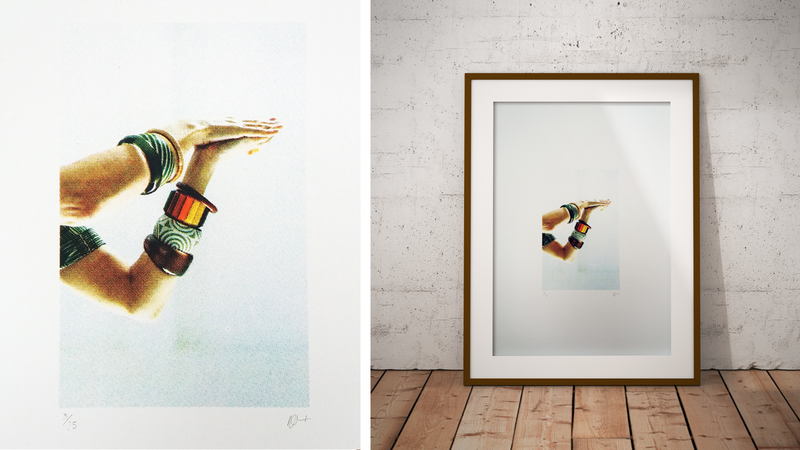 Slip + Slide - one-off pair of silk screen prints, framed in oak // Includes UK p&p. Your name will also be listed on the memorial residency webpage.